Burkinabe farmer Yacouba Sawadogo, well known for his work in the fight against the advancing desert, was in Stockholm on September 24 to receive the 2018 Right Livelihood Award, commonly known as the Alternative Nobel Prize. The award, endowed with 190 million CFA francs, is the result of more than 40 years of work for "the man who wanted to stop the desert". When Yacouba Sawadogo started planting trees on his plots in the Sahel region more than 40 years ago, he never thought he would be rewarded for this simple act. He is now 80 years old. From a very young age, he became involved in agriculture and became aware of the scarcity of rainfall in his region and the advancing of the desert. 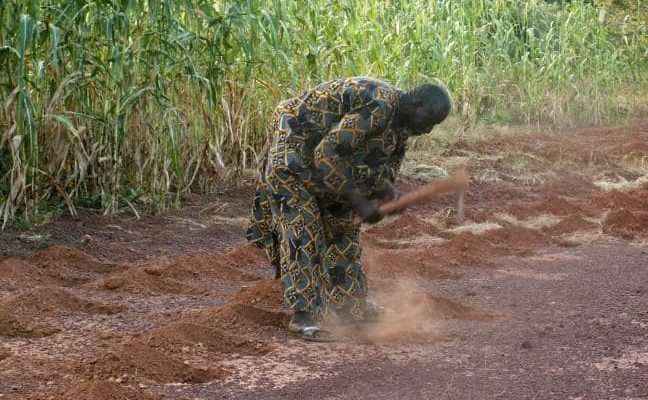 The farmer then applies a technique that will change the face of his plantations; a traditional method from northern Burkina Faso called “zaï”. The practice consists of preparing holes during the long dry season in the sahel, between seven and eight months. He fills these cavities with droppings and other organic debris. The material attracts termites that feed on it and dig tunnels in the arid soil. During the rainy season, the galleries retain water, which will allow the seed of the trees planted by Yacouba to germinate and facilitate the growth of young shoots. Today, a forest of more than 30 hectares covers his native village of Gourga: “We must not be enemies of nature. No one cares about our forests. The population has increased and forests are suffering. Some people do what they want with our forests. They destroy them. If you cut 10 trees a day and don’t plant more in the year, we will go towards destruction,” says Yacouba Sawadogo in a report by the German channel Deutsche Welle. Around his plots, he grows corn, sorghum and millet: “Food is essential to humanity. If there is enough to eat and if the food supply is secure, then we will grow but if we don’t have enough to eat, we won’t be able to grow. So we must, ensure food security first” he says. His work received another award, the “Land for life”, awarded by the United Nations in 2013. The alternative Nobel Prize he has just won in Stockholm is worth €290,000, or more than 190 million CFA francs.